For years Michael Card's music has imaginatively explored the narrative power of the Word of God. 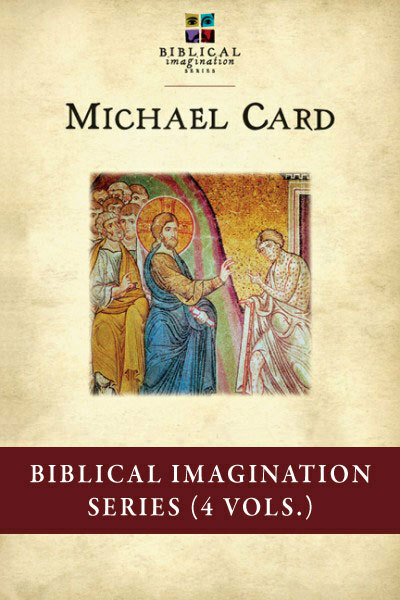 Now in the Biblical Imagination Series, Card invites readers to enter into Scripture as he has learned to do, at the level of the informed imagination. These volumes will help you discover the biblical text for yourself, ask your own questions and uncover deeper truths. Taking seriously the individual life and voice of each biblical writer, the Biblical Imagination Series will help you reintegrate your mind with your heart to recapture your imagination with the beauty and power of Christ. PLEASE NOTE: Olive Tree's Biblical Imagination series ONLY includes the commentaries on the Gospels. It does not include the Music CDs that are included with the print volumes.